The orange season has returned! 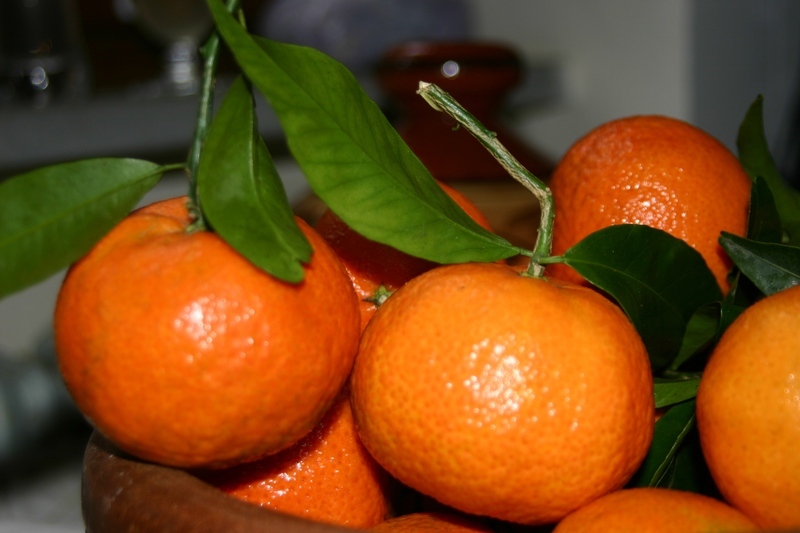 The market is full of all sorts of wacky oranges: little tiny, golf ball sized clementines, bright green oranges, tangerine like fruit. I have no idea what all the local names are for these oranges. It’s still too early for blood oranges, but there is enough other interesting fruit around to keep me entertained. For me, oranges are a much gentler way to bring acid into a dish. Instead of reaching for a lemon, try an orange. I love oranges with roasted fish, an orange and fennel salad, a bit of grated orange peel, mixed with some chopped parsley makes a spaghetti sauce sing. I make and use an orange peel salt that is great with meats and fish: get a nice, flaky sea salt, grate some orange peel into the salt, and a little pepper, and there you go. Leave the top off of the jar so that the salt and peel will be dry, and use the salt anywhere that you want a little ‘brightness’ in a dish. And here’s the Montone weather update: still rainy, still cold, but not Artic cold, it’s weather as it should be.